Yeovil have signed Norwich City striker Jamar Loza on a month's youth loan. 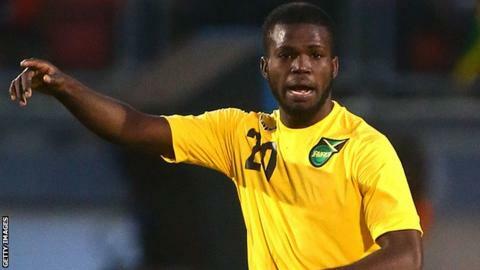 The 20-year-old, who has won five caps for his native Jamaica, has played five games for Canaries. He made his senior debut for Norwich against Arsenal in the Premier League last term, with his only start coming against Crawley in the League Cup. Loza, who signed a two-year contract at Carrow Road last June, has previously featured for Coventry City, Leyton Orient and Southend United on loan. His only senior goal to date came during his spell with Southend, scoring in a 3-0 win over Oxford United in March. League One bottom side Yeovil have the worst scoring record in England's third-tier competition, with the Glovers netting 19 times in 24 league games to date.